Background: shivering is a protective phenomenon which occurs when there is a drop in the core body temperature. As the patients plunge into anesthesia, shivering is always bound to happen, and its avoidance is of prime importance. Aim of the Work: compare the efficacy of intravenous dexmedetomidine 0.5 μg/kg body weight (bw) versus magnesium sulphate 30 mg/kg bw and meperidine 0.5 mg/kg bw in the management of shivering in patients undergoing elective surgery under neuraxial anesthesia in Al-Azhar University Hospitals. 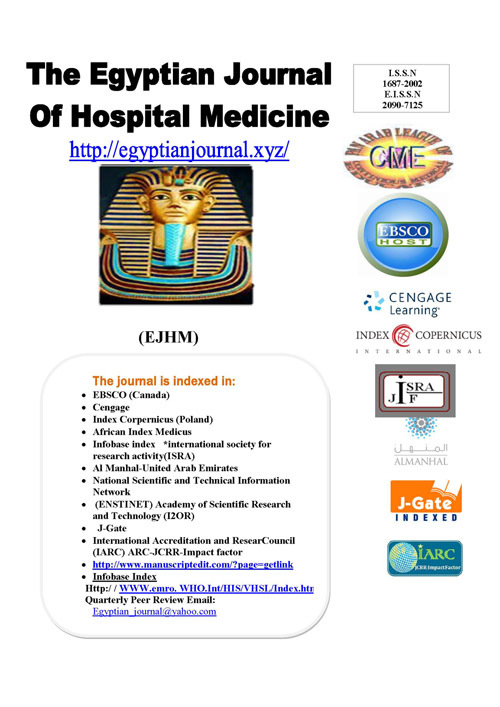 Patients and Methods: a prospective, double-blinded and controlled randomization study was conducted on 120 ASA grade I and II patients, posted for orthopedic, general surgeries and gynecological surgeries undergoing spinal and combined spinal-epidural anesthesia in Al-Azhar University Hospitals, following approval from the Ethics Committee of the Al-Azhar University. Results: dexmedetomidine was effective in the prevention of shivering throughout a period of 30 minutes. Bradycardia and hypotension were observed in 10 out of 40 patients who received dexmedetomidine and also in 6 out of 40 patients in the magnesium group and with no hypotension and bradycardia in the pethidine group. But of these how many occurred because of dexmedetomidine cannot be commented upon, as spinal and epidural anesthesia itself causes hypotension. Whereas it was observed in 8 out of 40 patients in the magnesium sulfate group. There was no nausea and/or vomiting in pethidine group. These were treated with ondansetron 0.08 mg/kg by the intravenous route. Conclusion: Dexmedetomidine is an effective drug in the prevention of shivering in patients undergoing neuraxial block.